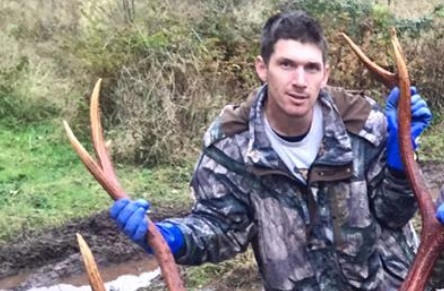 CAMPBELL RIVER, B.C- A man who controversially killed a deer in Campbell River last November has apologized for his actions. A letter from the man, named Nathan Chickite, contained both an apology and “voluntary comments”, which came about after discussions with BC Conservation officer Steve Petrocvic and Ronald Chickite, a We Wai Kai First Nation counsellor and Resource Coordinator. The shooting of the black-tailed buck was captured on video, originally posted on SnapChat. A clip shows a deer being shot in a residential area at close range, on Quinsam Reserve land within Campbell River. That’s followed by two people laughing and high-fiving each other. The deer’s throat is then cut, while the animal is still alive, at which point it goes into convulsions while bleeding out. The video caused outrage in the community, and led to an investigation from the conservation service and the Campbell River RCMP. In Chickite’s letter, he states that he understands people within his own First Nations community and people outside of his immediate community were disturbed and frustrated with his actions. “The video that was taken of me harvesting the deer was not meant to be distributed, and it was certainly not my intention to invoke any feelings of animal cruelty or unethical hunting practices,” wrote Chickite. Chickite’s letter states that the meat from the animal was fully utilized and given to an elder in his First Nation’s community, and that he prides himself on being a hunter providing for both his family and We Wai Kai families. It ends with him stating his hope that the incident could be put behind him, that the conservation service completes their investigation, and mentions his appreciation of the meeting with Petrovic and Ronald Chickite. The letter appears to be dated on June 25, 2018. The investigation into the incident has been concluded, according to Petrovic, with no further enforcement action being considered. “The RCMP and the Conservation Officer Service worked cooperatively to investigate the matter,” said Petrovic, speaking on Wednesday. Petrovic said he was part of the investigative process, and worked with both local First Nations, the RCMP, other community partners, and Chickite, witnessing the resolution detailed in the letter. Reached for comment, Corporal Ron Vlooswyk of the Campbell River RCMP stated that no charges were approved in the case. IMAGE CAPTION: Photo of Chickite sourced from Facebook.